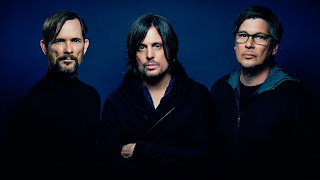 Failure, who recently shared news of their plan to release a trio of digital EPs culminating in a full-length, physical album later this year, debut the video for "Dark Speed" via Alternative Press. "David Dastmalchian is one of our favorite actors so it was a true pleasure to make the first Failure video without the band in it with him," explained Ken Andrews, who directed the video. Dastmalchian is known for his work in "Ant-Man" and "Blade Runner 2049."